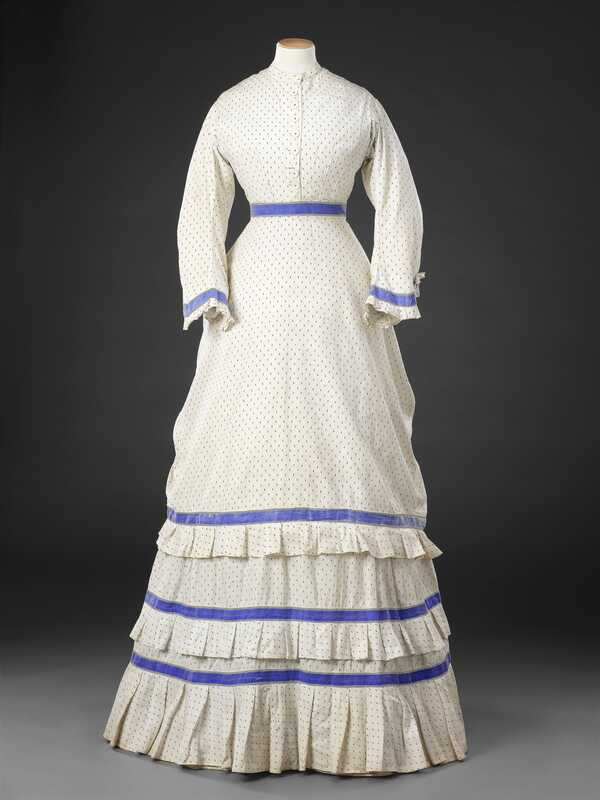 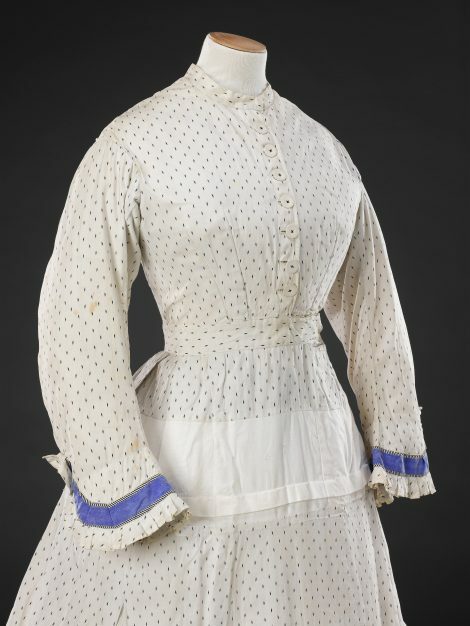 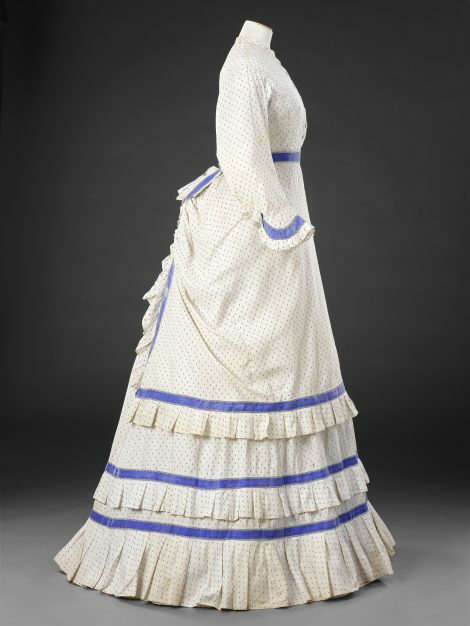 This one-piece dress of white cotton printed with a small black abstract motif, and trimmed with bright blue cotton braid, has a matching separate apron overskirt, a popular new feature of late 1860s and early 1870s fashion. 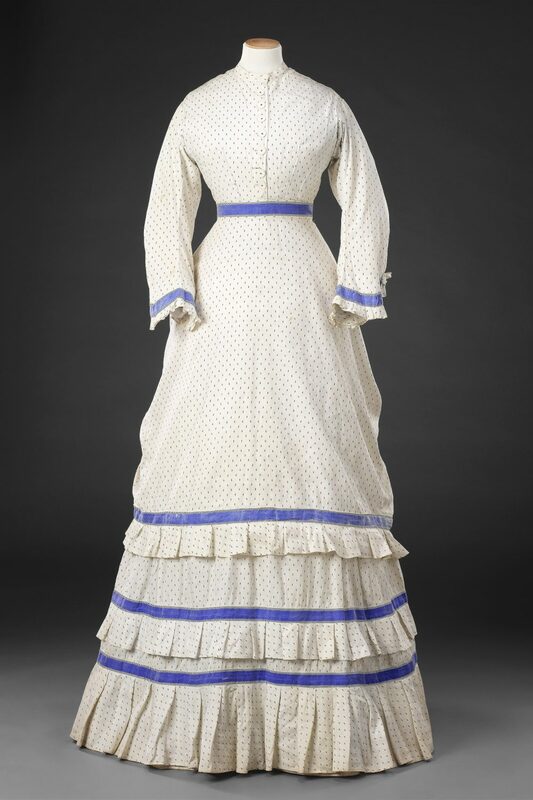 It was used by its former owner, Shirley Russell, to dress Vanessa Redgrave as Cosima von Bülow, in the film and television production Wagner, directed by Tony Palmer, and released in 1983 to mark the centenary of the death of the composer Richard Wagner, played by Richard Burton. Cosima von Bülow married Wagner as his second wife in 1870, after having born him three children. 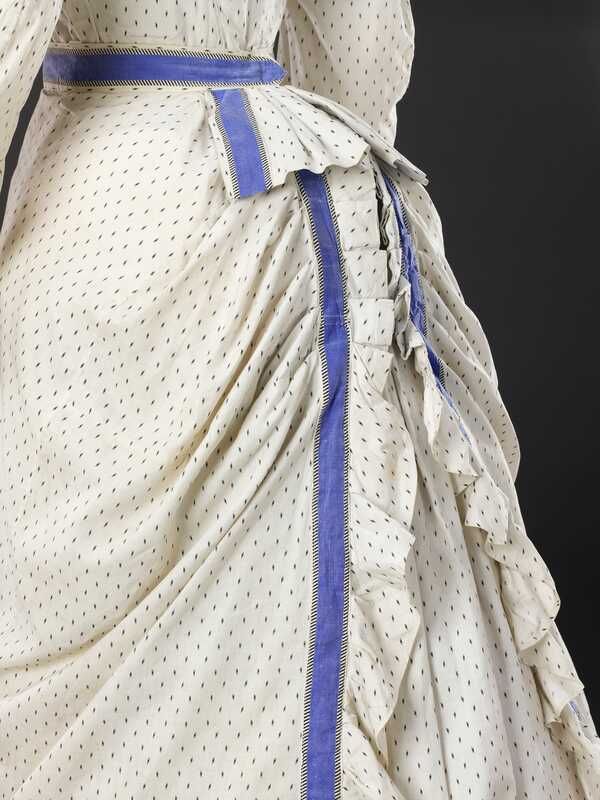 Russell adapted the dress to Redgrave’s height by inserting a panel of white cotton into the skirt where it would be hidden beneath the overskirt, as can be seen in one of the Additional Images. 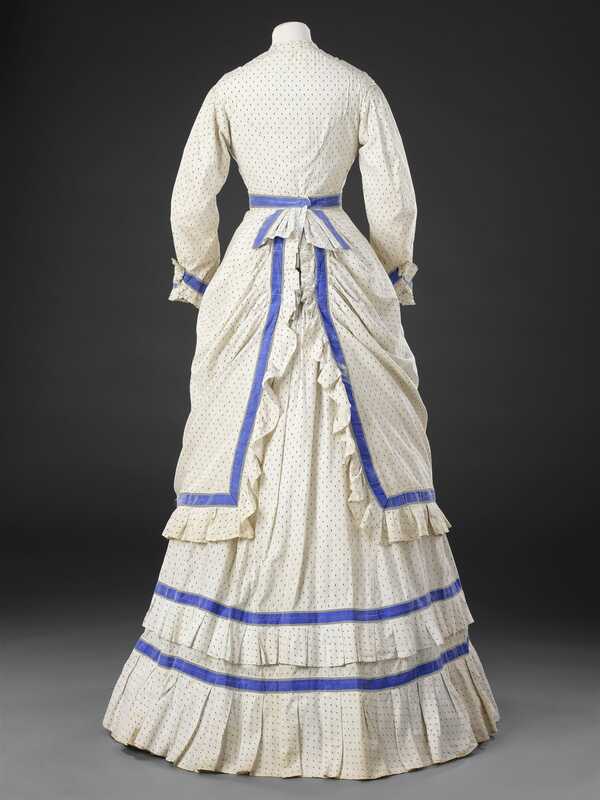 The proportions of garments frequently suffer by alteration, and it is evident here that the length of the skirt appears too long for that of the bodice and sleeves, and the border frill of the overskirt no longer sits just above that of the underskirt. 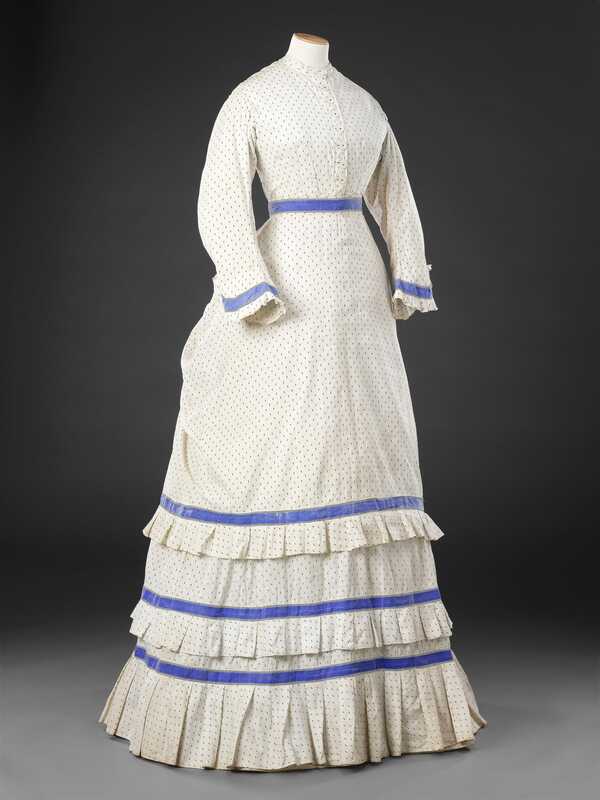 However, the alteration has been left in place as it has now become part of the garment’s later history.